Polyester Lanyard+Badge Holder Design Polyester Lanyard+Badge HolderCustom lanyard are the most popular and economical lanyard we have, these polyester lanyards are perfect for conferences, trade shows or as identification for building entrances. 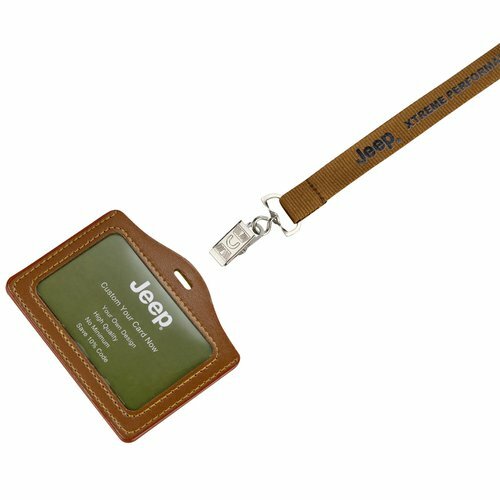 You can choose between one of our basic lanyard attachment free of charge that include an J-hook clip, Lobster clip and Heavy duty trigger clip, and Badge Holder options attached with it. 15mm(5/8") polyester lanyards With Standard Length 920mm(36"), one side printed with same design, one text color. 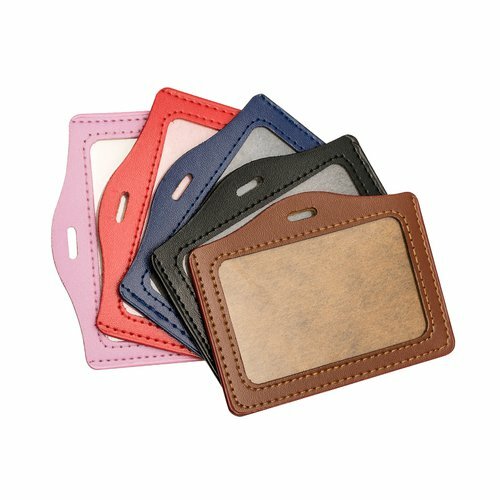 Badge Holder Size- Faux Leather Holder,Holder size:4 2/5"x2 4/5"(112x71mm), Insert size:3 2/5"x2 1/8"(86x54mm). 5 stock colors: black, blue, brown, red, pink. 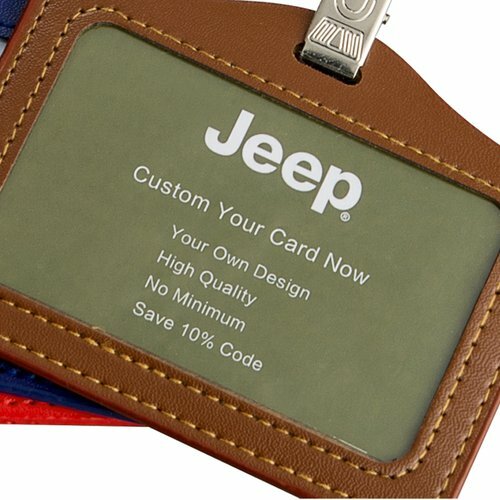 If no instructions, we will ship out brown holders by default (If you want it to be other color, please leave message in special instructions). **NOTE- The set price does not include insert card. If you want insert card, extra will be charged.